I can't believe it's been a week since I've posted! To be fair though, things are pretty busy and exciting these past days since the site is officially launched. I am packaging/shipping website orders, designing and fulfilling custom orders, and exploring the next steps for ecocessories! This week I am featuring three small but stunning items that I found in my recycled jewelry stash and cleaned up to incorporate into new jewelry and accessories! 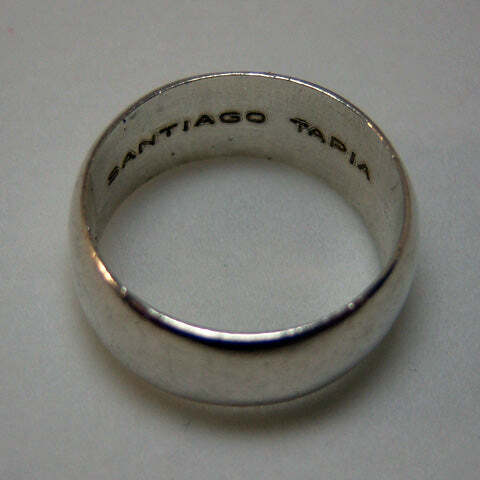 Of interest first is this sterling silver ring. This ring came to me in a package from Toronto, Ontario. A woman had a need to recycle jewelry, so she did a Google search and found out about ecocessories' recycling services. We got in touch and she sent me a small bag of goodies! I reimbursed her shipping costs - I get new inspiration, she has an easy eco-friendly solution for her unwanted jewelry. I think I'll probably start by removing the inscription from inside. I just invested in a new tool - a Fordom (similar, but better than, a Dremol) and I think I'd be able to use it to make some interesting designs in this recycled sterling silver ring! 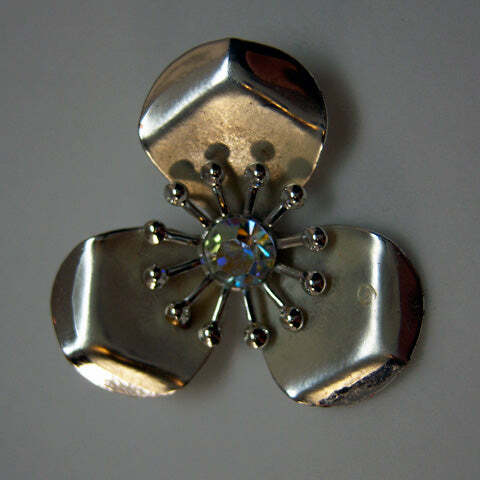 Next is the recycled silver blossom. This flower was a vintage clip-on earring in its former life. The sparkle in the bud caught my eye and I knew I could modernize this beautiful antique component! I have already recycled the blossom into a new piece - the "Earth Angel Neck Cowl" as the focal button! This neck cowl is one of a kind and sure to be a cherished handmade possession. Buy it here! 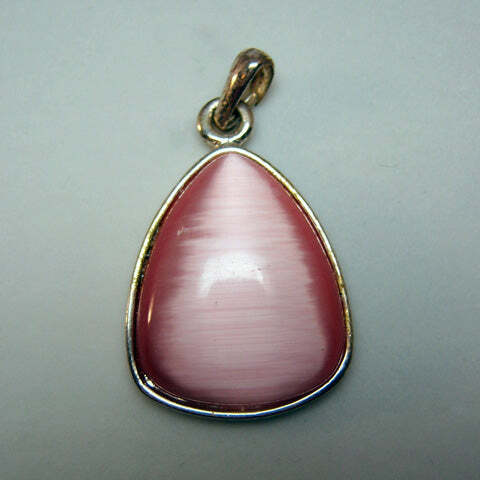 Finally, I adore this bright pink pendant. I plan on simple stringing this on a sterling silver chain that has been given some added character with hand formed sterling silver shapes and recycled beads. I would love to receive your recycled jewelry - contact me to let me know it's coming, and I'll reimburse your shipping charges when it arrives! 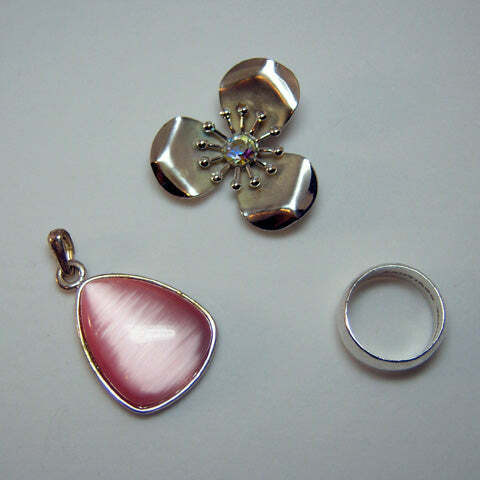 The pink pendant was mine!! The necklace it was on broke, but it was lovely! I hope someone else gets to enjoy it too! That is wicked news Ash! I decided to make you wait until closer to your b-day for your package... now good thing I did. Since your recycled jewelry was featured in my "Rad Recycled Jewelry" collections, I'm going to reward you for inspiring me by including a free pair of earrings in your package!